MightyLine Floor Tape is the best line marking solution for creating a lean work environment. How does MightyLine help with lean and 5S? Organisation of your floor area is huge start to a lean environment. With MightyLine you can create lanes for stored goods, parking bays for forklifts, specific locations for pallets, walkways for pedestrians, and many other markings to make your facility more productive and efficient. 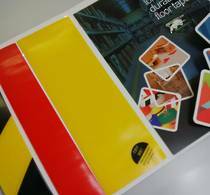 The MightyLine floor tape range has many different colours that are used to identify different locations such as storage areas or risk levels. For example if we simply place a piece of yellow/black tape in front of a dangerous machine, pedestrians instantly recognise there is a hazard. Or if we place a floor sign in front of a fire extinguisher saying "Keep Clear at all times", when there's a fire the extinguisher will be accessible. Simple and lean. 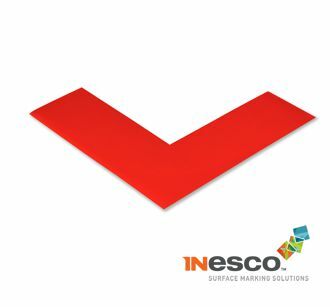 Click here to view our floor marking colour guide. 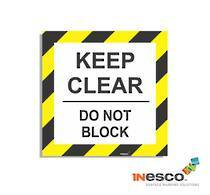 Angles, T's, dots, feet and floor signs can be very helpful to to demarcate certain areas. Only with MightyLine can these shapes be achieved quickly and with no fuss. Click here to view our 5S products. MightyLine lasts the longest. MightyLine is the only tape on the market that has a 3yr warranty for internal use. Made from an extruded PVC with bevelled edges its built to handle forklifts, reach trucks and other heavy equipment. We all know that we have facility changes which call for our floor marking to be changed. This can be expensive if we have painted lines. MightyLine is made with a pressure sensitive adhesive which allows the tape to be easily removed if necessary. Not what you're looking for? Ask us a question now.